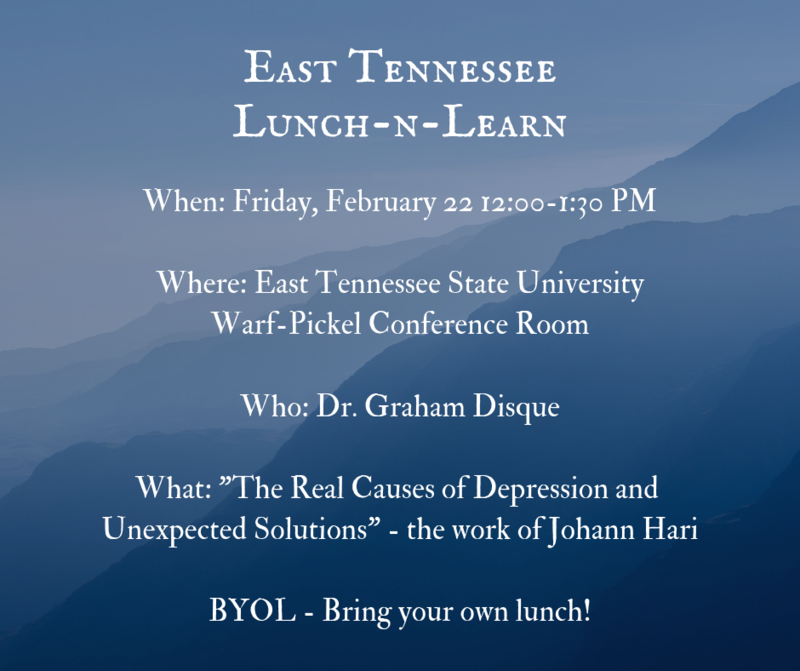 FREE NETWORKING & CE: The next East TN lunch and learn event will be held February 22nd at East Tennessee State University. Our presenter will be Dr. Graham Disque and his topic will be "The Real Causes of Depression and Unexpected Solutions; the work of Johann Hari. We will meet in the conference room on the 3rd floor of Warf-Pickel Hall. Times are from 12:00- 1:30 PM and it's bring your own lunch. The will be 1 CEU for attendees.